Romantic assorted gifts include some practical gifts that may not seem as romantic since they have a specific use, but that is just the reason to give them. Your loved one may prefer practical gifts that can be used for more than just sitting on a shelf. To make a plain practical gift romantic, add your own love note or tag before wrapping it that fits the theme of the gift. Or hide something romantic in the box for her/him to find when it's opened. 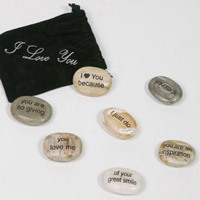 Find romantic assorted gifts that fit her/his unique personality to use again and again while thinking of you. Give an experience that will always be remembered. 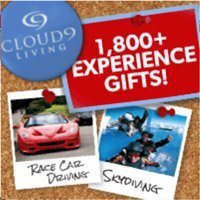 Choose from a NASCAR ride, balloon ride, helicoptor tour, sailing, kayaking, flying, dinner cruise, and more across the US. Seven reasons etched on petrified wood stones. One side says "I love you because" and the opposite side has a reason like "you are so giving" and "I just do." Velvet pouch included. 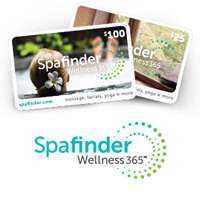 Pamper your loved one with the perfect gift for any occasion accepted at over 5,000 locations. It can be used for any spa treatment of the recipient's choice such as relaxing massages, luxurious facials, fine beauty products, and more. 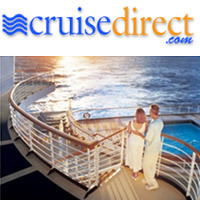 Exotic destinations, gently rolling seas, romantic dinners, private balcony, adventurous activities, and pure relaxation await you on a romantic cruise. 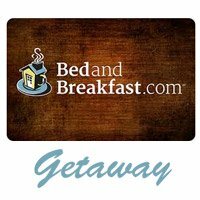 Choose from romantic packages that make your trip even more memorable. 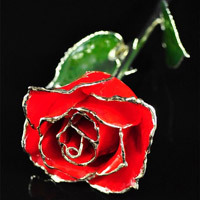 A real rose that will last forever preserved by clear acrylic glaze and 24kt gold accents. Multiple color choices. Add a message in your handwriting that states your love will last as long as this rose- forever. 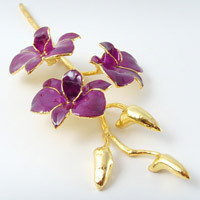 An orchid symbolizes rare beauty. It is a rare beauty that will never fade or wither which, in your eyes, is the same way you feel about her beauty. Add a note in the gift box with something written like that. 24kt gold accents. 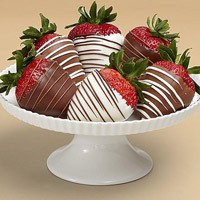 Chocolate covered strawberries are classic romantic treats for any occasion. Make a memorable night with these as dessert. 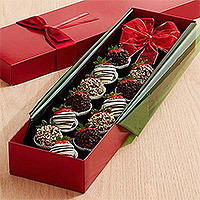 Hand-dipped chocolate covered and decorated strawberries arranged to look like roses inside a fancy presentation box. Flowers need no occasion and are more meaningful when not anticipated. 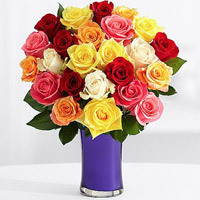 From unique arrangements to a simple bouquet of roses, flowers clearly express love and thoughtfulness. Same day delivery available. 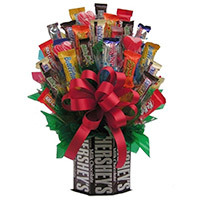 If your loved one doesn't value flowers, then send a bouquet of goodies made from assorted candy, chocolate, or cookies. Same day delivery available. Send a fruit bouquet instead of giving boxed chocolates and flowers, especially if you know your beloved is watching the calories. Same day delivery available. Carry your keys, money, ID, phone, and other small items with you to the gym or for a run inside multi-access pockets around your waist. 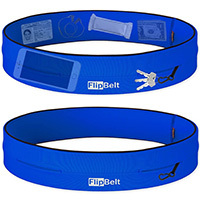 Turn the belt inside out to load it up and then flip it to secure the pockets against your body. 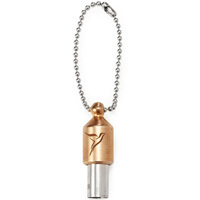 This copper and brass flute pendant is designed to give a therapeutic soothing and stress-reducing tone tuned at 528hz, which is believed to be the healing frequency. Be prepared for a surprise romantic picnic with everything you need. 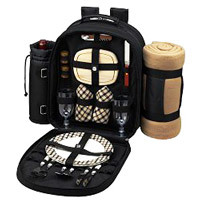 Includes a detachable wine cooler, blanket, insulated main compartment, melamine plates, goblets, napkins, corkscrew, cutting board, and utensils. Optional personalization. 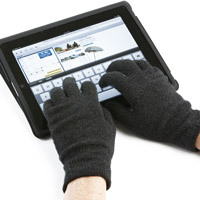 Touchscreen gloves keep your beloved's hands warm without having to take them off to use a smart phone, tablet, etc. Knitted gloves are lightweight, soft, warm, and stretchy. Choose from thousands of apps, games, books, music and movies. 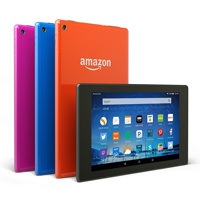 Hold the internet in your hands with an affordable and durable 8" HD tablet. Dolby Atmos dual stereo speakers for impressive sound. Use in the car on a cool night as a drive-in movie. Need a gift quick? 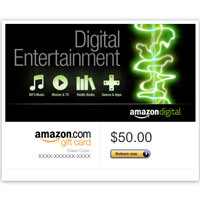 E-mail a gift card within minutes. You can even upload a photo or video as the card to make your gift more personal and less boring. Include a loving message and send. 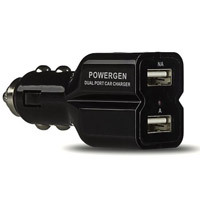 Make sure your sweetheart's cell phone can always be charged on the go. A dead phone battery seems to happen at the worst possible time. Place it in the glove box with an extra cable. 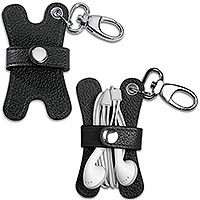 Store your earbuds quickly without tangles and always keep them handy in a full grain leather holder with snapping strap and nickel clasp to fasten to a key chain. 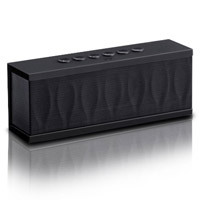 Dance together anywhere with a portable speaker that connects up to 33 feet away. Features built in battery and speaker phone. Includes headphone jack, carrying bag, and charger for up to 10 hours of use. Add some points on your scoreboard. A real baseball printed with "You Hit A Home Run With Me!" 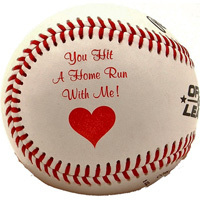 Toss this to your sweetheart the next time you watch a game together. 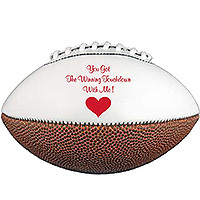 A real football printed with "You Got The Winning Touchdown With Me!" See if this gets some attention during the game or just as a loving gift for his/her favorite sport. Also choose from golf, soccer, or basketball. 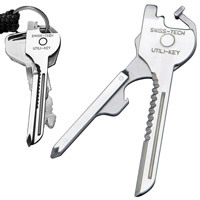 Have 6 tools on your keyring with this unique gadget. Looks just like any another key but opens to: semi-serrated blade, bottle opener, micro flat and phillips screwdrivers and eyeglass screwdriver. The right tool for anything is always handy. Included leather/nylon sheath to keep on a belt. 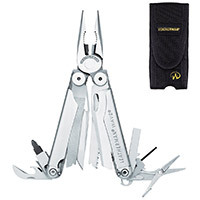 Great for those who love the outdoors and features 18 tools in one. 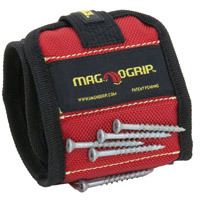 Keep all the nuts, bolts, screws or any other small metal tools on hand and secured with a magnetic wristband. Place a paper note that says "I'm nuts about about you" between a nut and the wristband. One dozen fortune cookies dipped in chocolate and sprinkles with love quote fortunes. 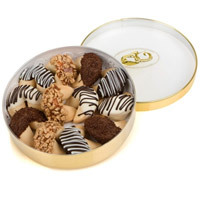 Includes an elegant gold rimmed round box for presentation. 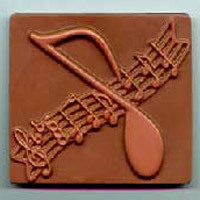 Give her chocolate in a unique way with by including a note about how you make beautiful music together or related music theme. 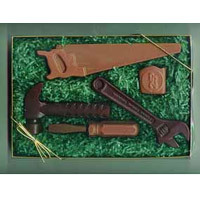 Something different for the one who loves tools. Place a note inside stating how grateful you are to her/him for building a happy home together. The Make-Up Bell is rung by one partner to end an argument according to Irish tradition. Have a mutual agreement to reconcile when hearing the bell and move forward.